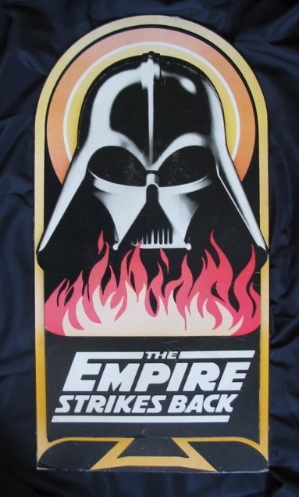 This wonderful standee has no copyright info printed on it but was likely used in a store such as Woolworth's in the UK in 1980 (a similar no-date standee using the Star Wars Style "C" artwork was indeed used in Woolworth's in 1978). 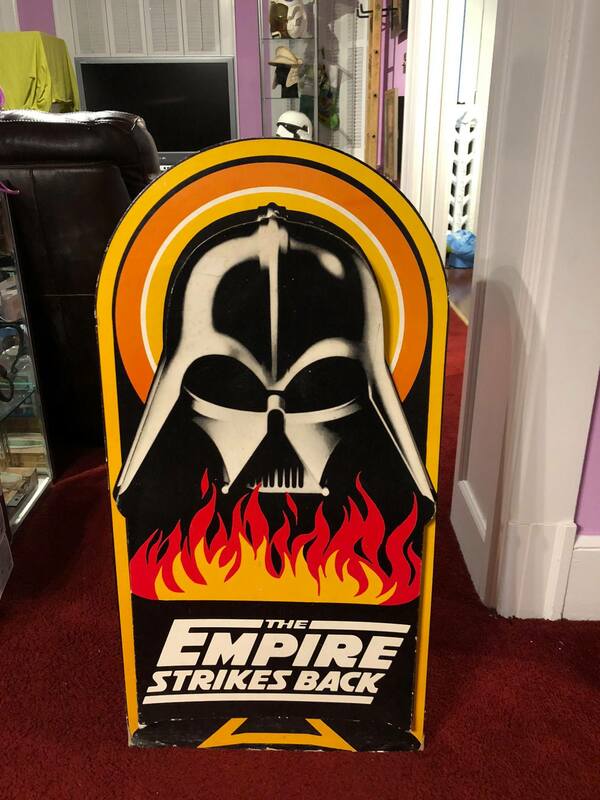 This 17x34 inch standee has a dimensional Vader in flames graphic that rests atop a similar backdrop, giving the piece a dimensional appearance. Easel back and printed on extremely heavy cardstock (the previously mentioned Star Wars version was also printed on heavy cardstock with easel and measured 24x24). The logo graphic on this example was of course drawn from Ralph McQuarrie's artwork for the ESB cast and crew patch and decals.